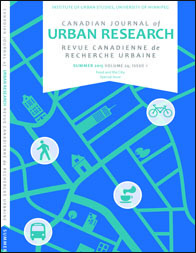 The Canadian Journal of Urban Research (CJUR) has released Winter 2016 Volume 25, Issue 2. CJUR is available to read online free of charge. Please click here to go to the online version. Click here for more information about CJUR.